ATEN specializes in professional audio/video connectivity and management solutions in sharing and accessing technology. They design their devices for consumers, small/home offices (SOHO), small to medium sized businesses (SMB), and enterprise customers. Their innovative solutions include products like KVM Switches & Cables, Range Extenders, Distribution Amplifiers, and Matrix Switchers. 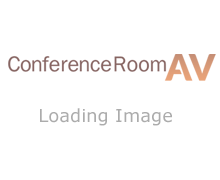 Let Conference Room AV help complete your audio video solution in your conference room, home office, or business.